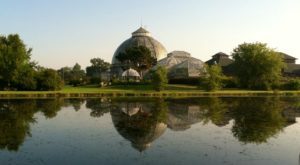 Detroit is home to its fair share of parks and other outdoor attractions. 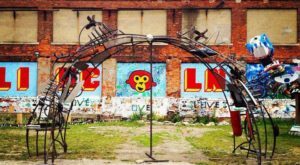 From our beloved Detroit River to the Dequindre Cut, there’s plenty to explore throughout the Motor City. 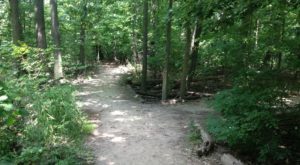 There’s one amazing park, though, that will blow you away with its unique combination of natural beauty, manmade fun, and fascinating history. 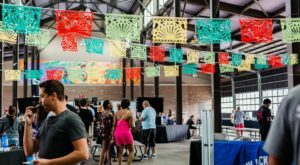 This is one locale that certainly belongs on your Detroit bucket list. 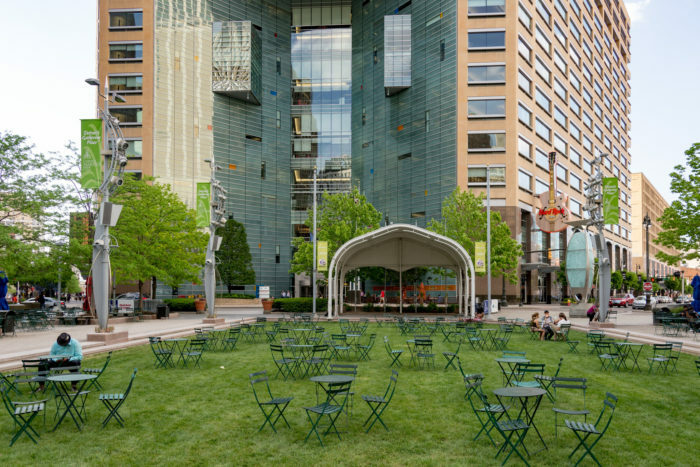 Campus Martius Park is located at 800 Woodward Ave. in the heart of downtown Detroit. 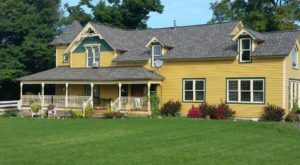 For many Detroiters, this lovely spot serves as a focal point within the Motor City. 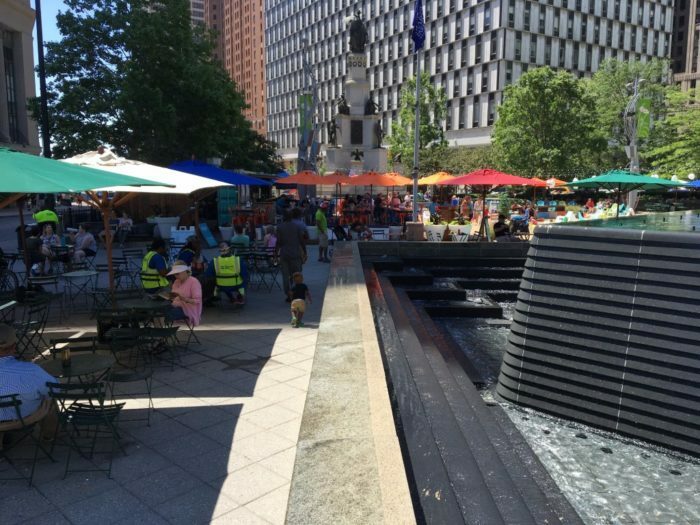 If you haven’t spent time in Campus Martius over the years, you’ve truly been missing out. 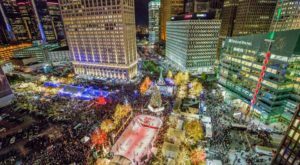 Initially established in the mid-1800s, Campus Martius has long stood as a gathering spot for locals. Following a decline in the late 20th century, it was rededicated in 2004. 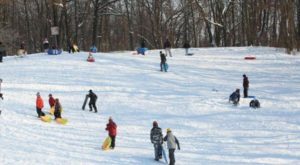 Today, this spot bustles with activity in every season. 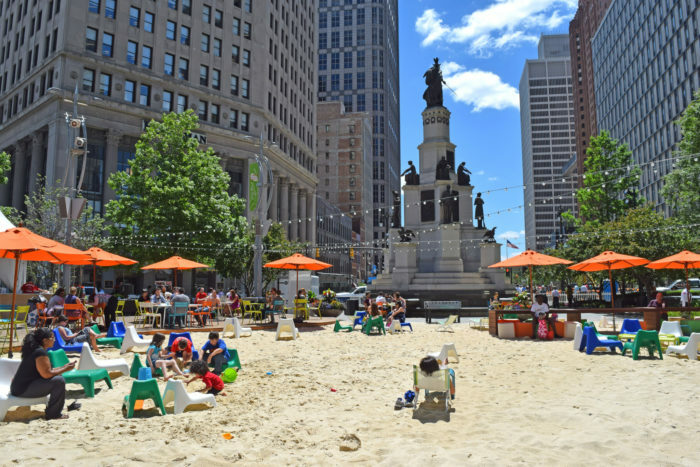 In warmer months, enjoy a trip to the park’s makeshift beach area, which comes complete with a sandy wonderland. Sit alongside the lovely Woodward Fountain or stroll through the park’s perfectly landscaped gardens. 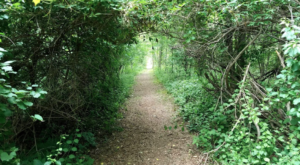 There are even multiple eateries and picnic spaces to explore. 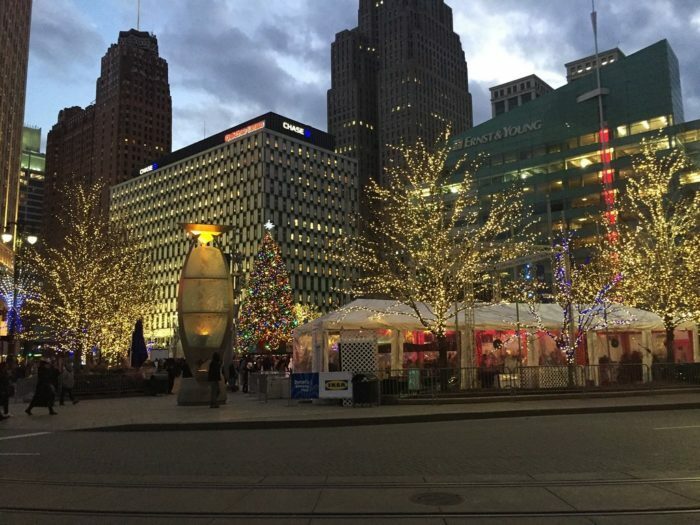 In the wintertime, Detroiters flock to Campus Martius for its breathtaking ice skating rink. Marvel at sparkling holiday lights as you skate under the stars. 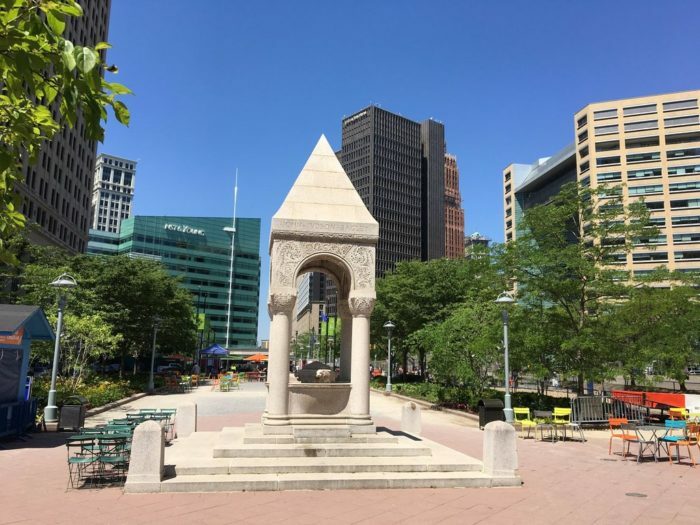 History buffs will appreciate the area’s multiple monuments and homages to Detroit’s storied past. Trust us when we say that this is so much more than your average park. 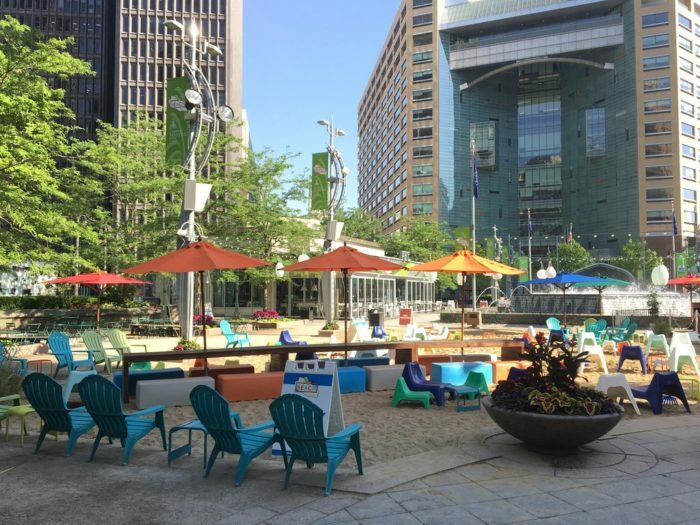 Whether you’re stopping by for a special event, lounging with pals on a summer day, or simply strolling through on your way to work, Campus Martius never disappoints. 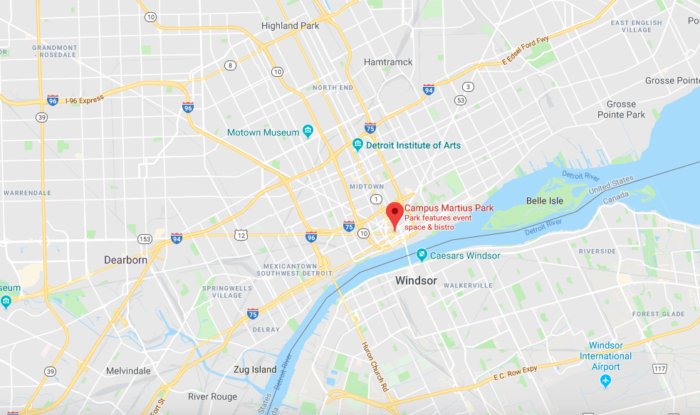 For more information about this must-visit park in the Motor City, click here. 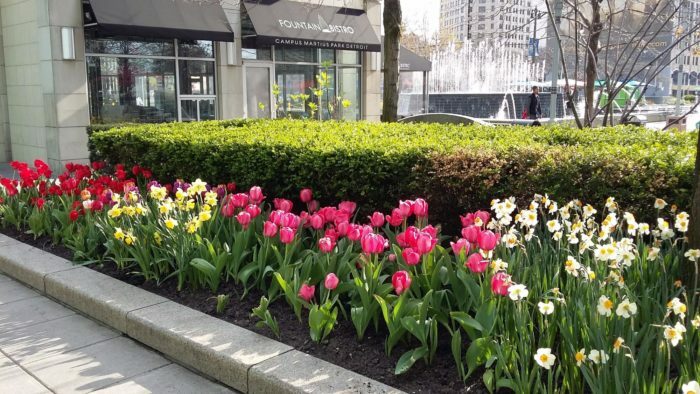 Which element of Campus Martius Park is your favorite? Share your thoughts with us in the comment section below!